When leaving your castle, build up the Isle of Skye by adding green hills, perfect beaches and mountain ranges. Raise livestock, produce precious whisky, build forts and ships... 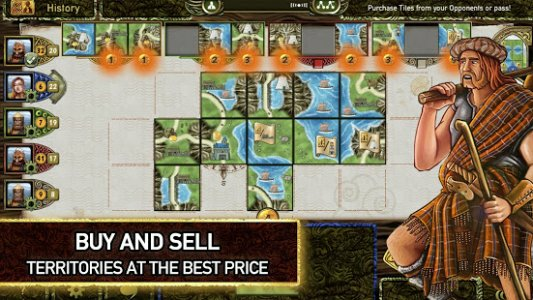 Expand your territory tile by tile, pay to keep hold of your tiles or sell them to an opponent for the price you've set... Tile price setting, purchases, sales, and structures are the key to becoming the ruler of the Isle of Skye! Every game is different and will see you developing different strategies and tactics! With changeability and easy to learn rules, Isle of Skye is the perfect game for all types of players. 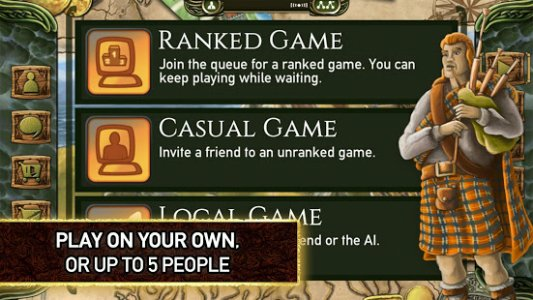 • Play in single-player with challenging computer opponents, against your friends in local multiplayer, or face clans from all over the world in online mode! 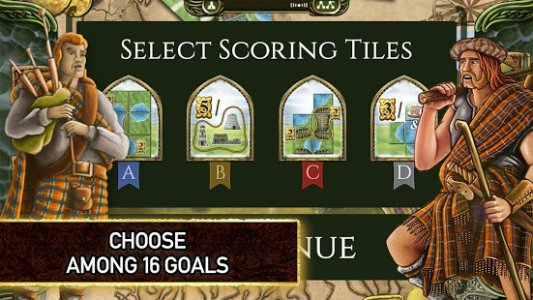 • Learn the rules with our Interactive tutorial or even watch games of the top players on your device! 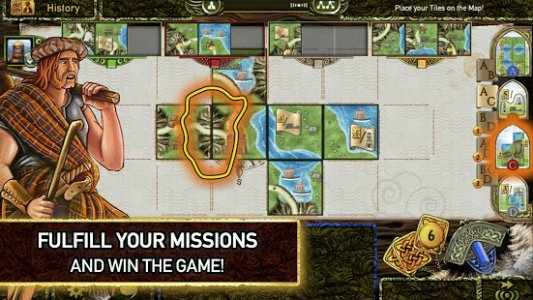 • Take your time in asynchronous game mode with push notifications and never miss a turn. • See fabulous illustrations by Klemens Franz, which make for a true Scottish atmosphere! Available languages: French, English, German, Spanish, Japanese, Korean, Russian, Chinese, Italian. 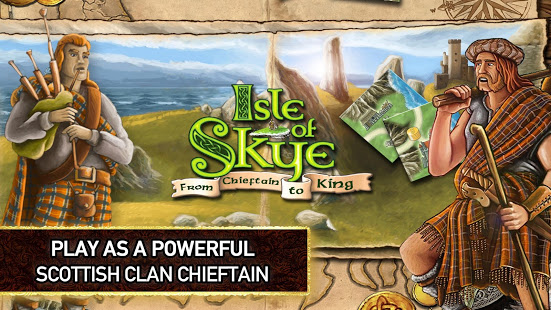 Find all the latest news for Isle of Skye on Facebook, Instagram, Twitter and Youtube!